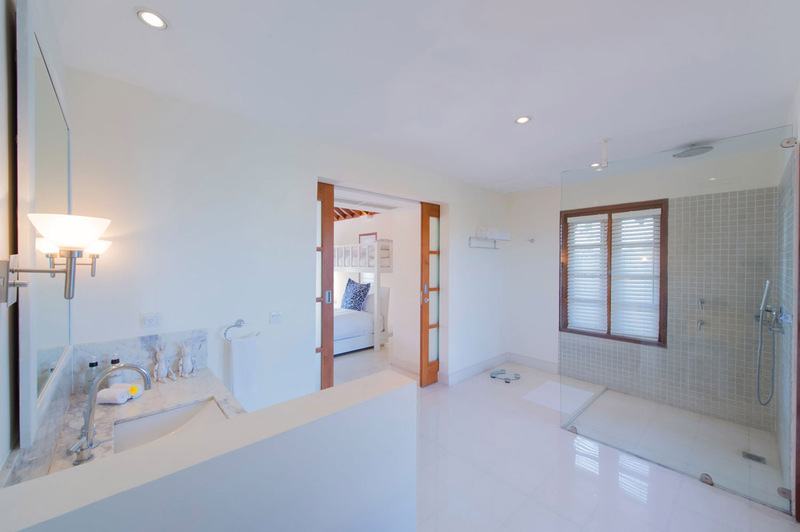 ONLY 500 metres to the beach - rent this now! 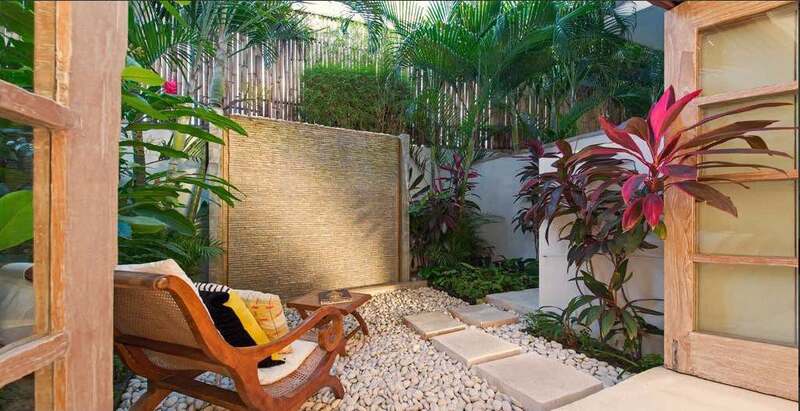 Gorgeous swimming pool and large garden area for relaxation and lots of downtime. 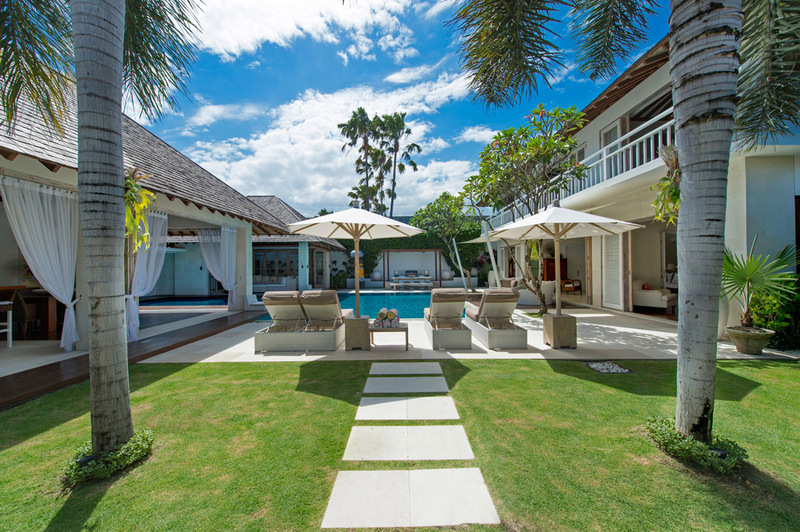 Villa Jajaliluna is a luxurious 4 bedroom Seminyak holiday villa rental that also offers guests a prime Seminyak location on the Petitenget strip just a few hundred meters from the world famous Ku de ta Beach Club. 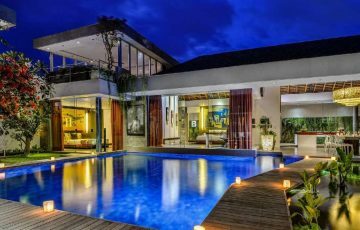 Guests of the villa also enjoy VIP membership to the very popular Finns/Canggu Club with a full range of family facilities. 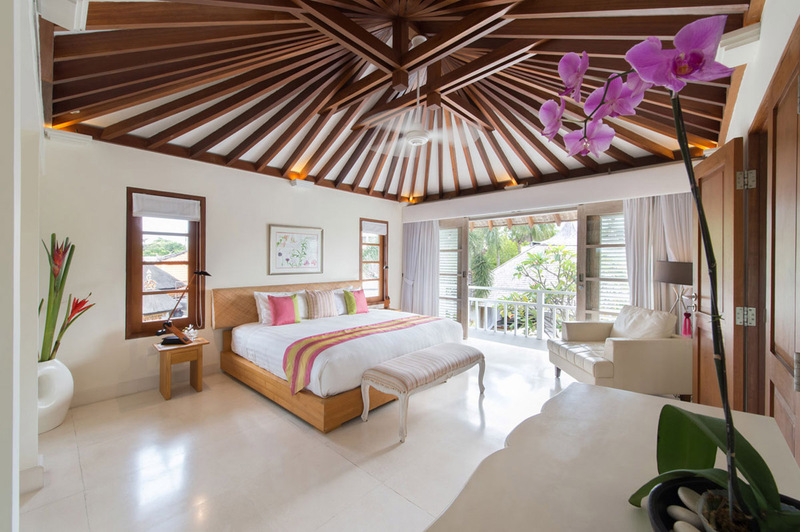 Villa Jajaliluna is one of our most sought after holiday villas by many travellers to Bali. 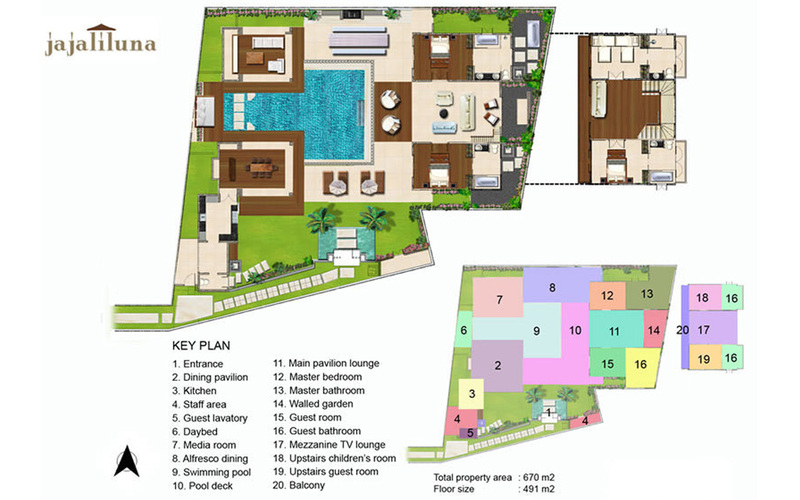 It’s in such a convenient location and really well priced – this is why it’s so popular. 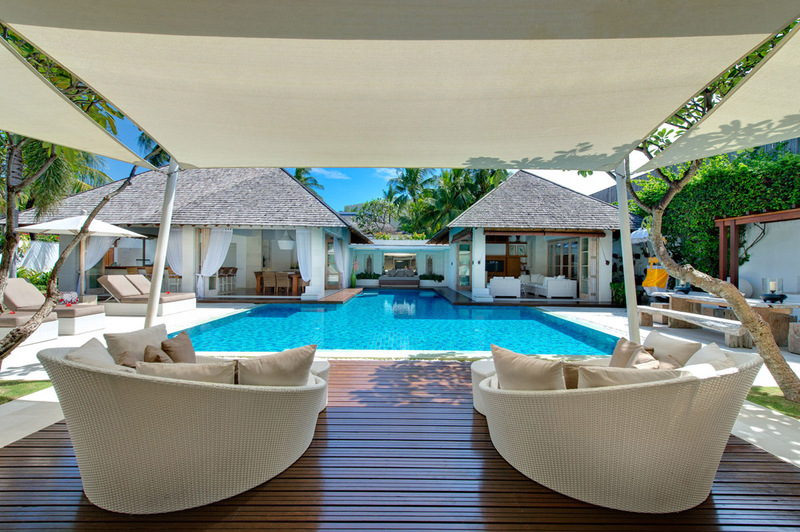 A huge T-shaped private pool separates the living and accommodation pavilions, surrounded by a generous pool deck which houses an alfresco dining and BBQ area and a selection of doubled sized sun recliners and day beds where you can relax in the shade or soak up the Bali sun. 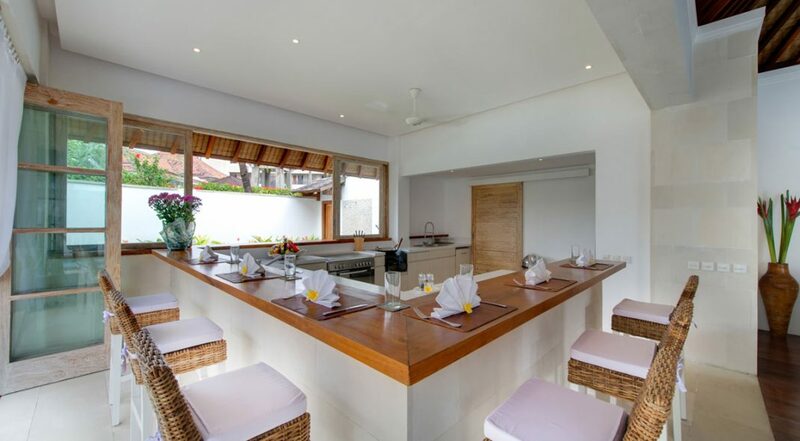 What a setting to have fun with family and friends while enjoying great service from the warm and friendly Balinese staff, luxury outdoor living at its best! 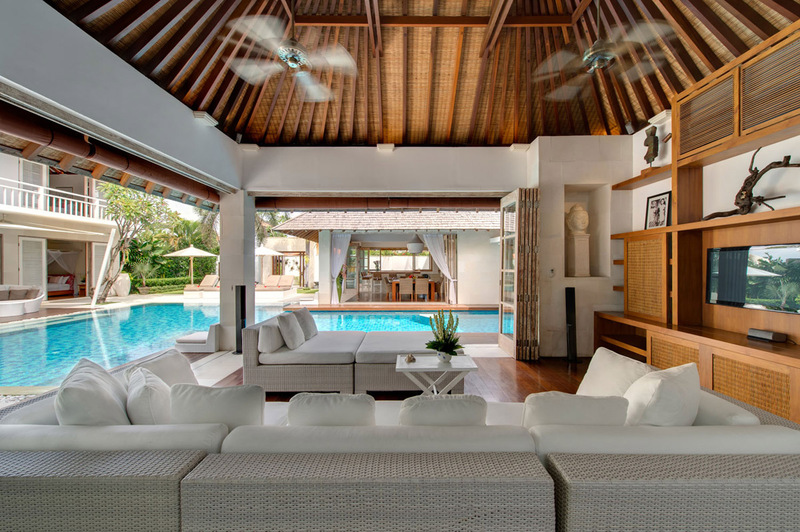 There are several living areas around the villa with a TV/lounge room with huge a flat-screen and sofa at one side and dining room on the other side of the pool, they are versatile so you can sit in air-conditioned comfort or enjoy open-air tropical living. 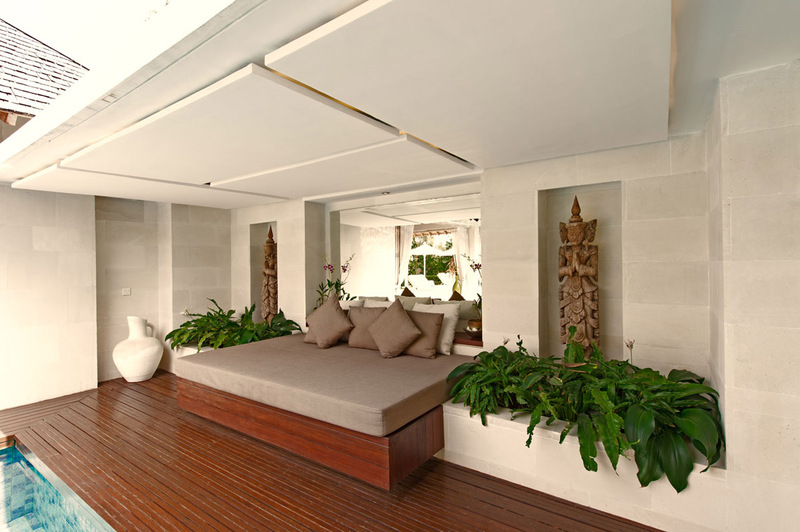 There is a second lounge area on the ground floor of the main pavilion with relaxing rattan lounges and upstairs a mezzanine floor features another TV area with a large white leather sofa thus offering plenty of spaces for guests to relax and unwind together or find a quiet spot for yourself. 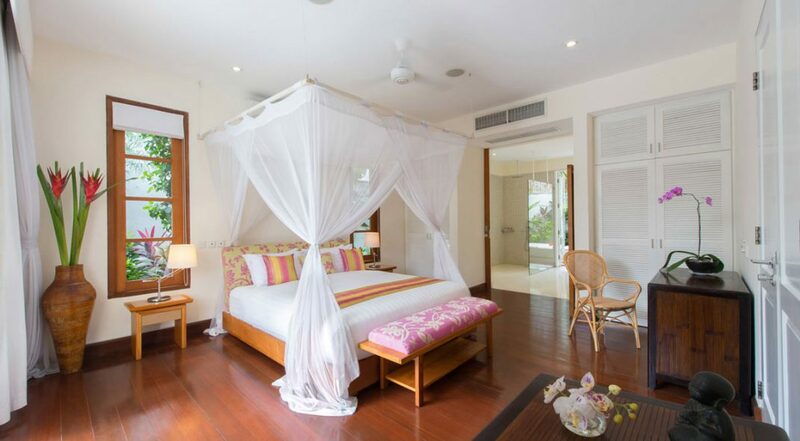 The bedrooms are delightful, spacious, bright and airy, timber floors, antique furnishings and soft pastel hues make the very homely. 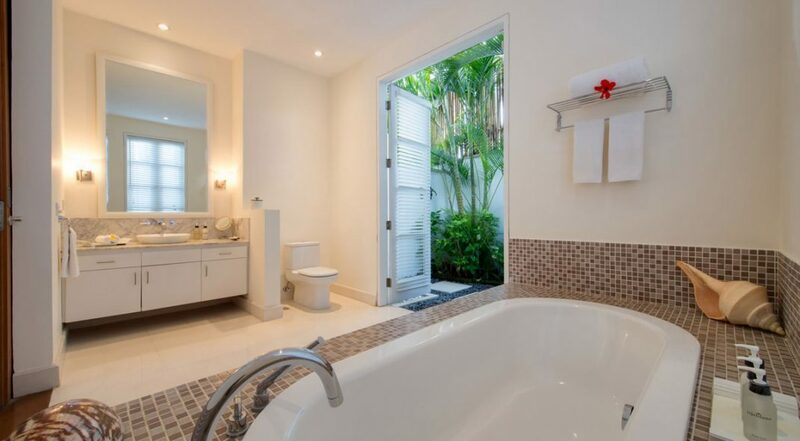 The master features a king-sized four poster bed, huge soaking tub and outdoor tropical rain shower. 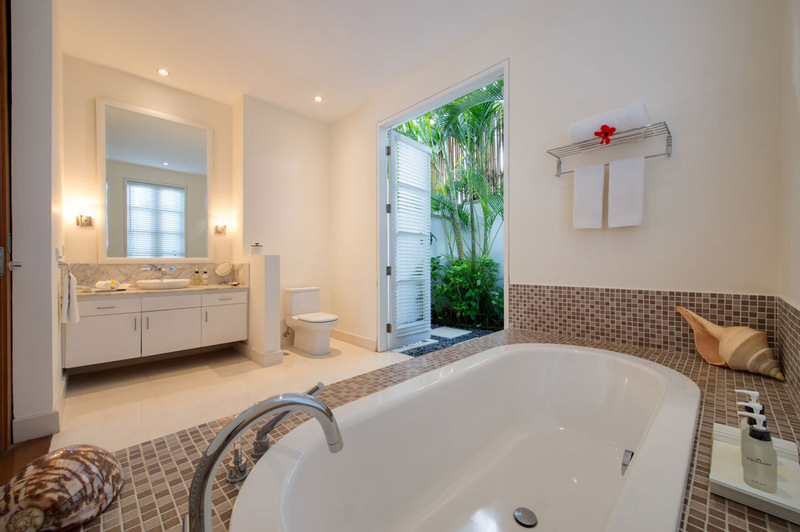 Two more guest suites feature premium queen sized beds and the fourth room provides bunk beds for four, ideal for the kids, all rooms feature spacious en-suite bathrooms. 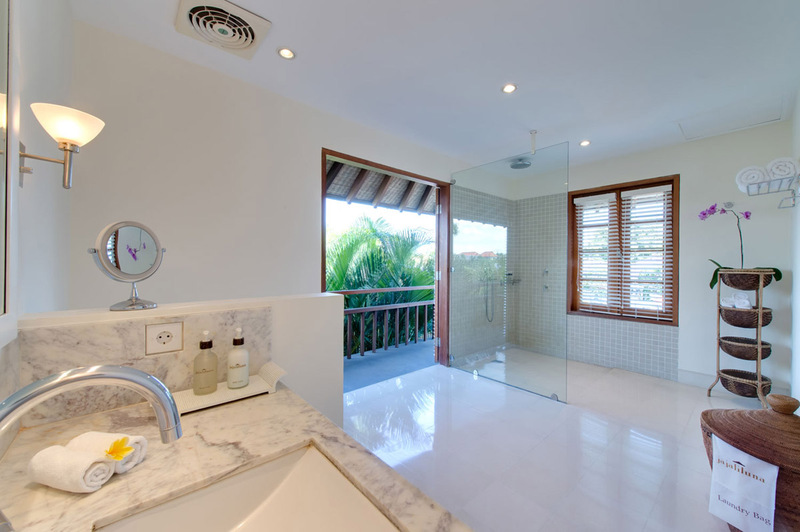 Guests at Villa Jajaliluna are guaranteed to be very well looked after by the warm and professionally trained staff. 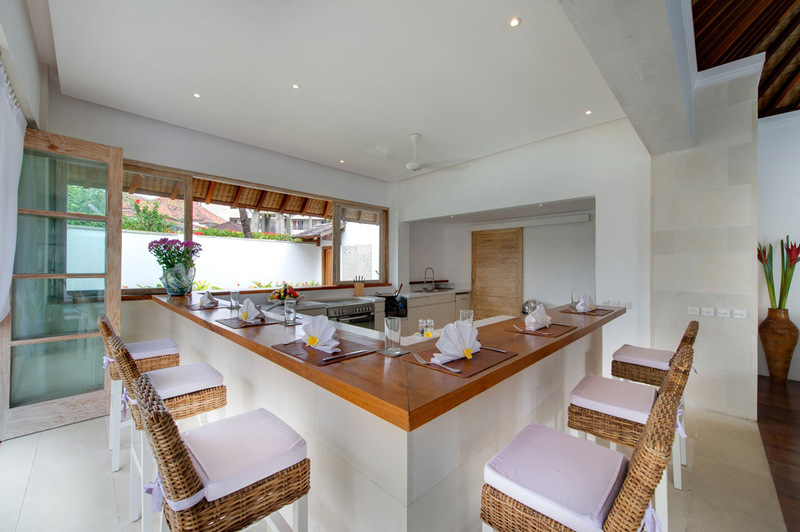 Every morning you will awake to a healthy breakfast of your choice, the chef will happily cook a BBQ lunch or dinner for you and the staff will be happy to do the grocery shopping for you as well. Any transportation needs and other services and bookings will all be taken care of by the staff. 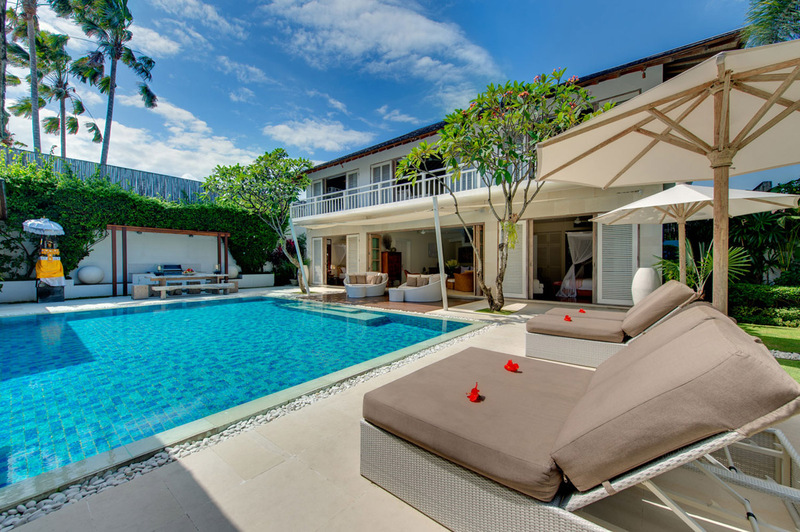 The villa provides possibly the best Seminyak location on offer, just a couple hundred meter stroll will bring you to Ku de ta Beach Club where you can dine from morning until night, swim, sun bake and enjoy the beachfront views of rolling waves and magical sunsets. 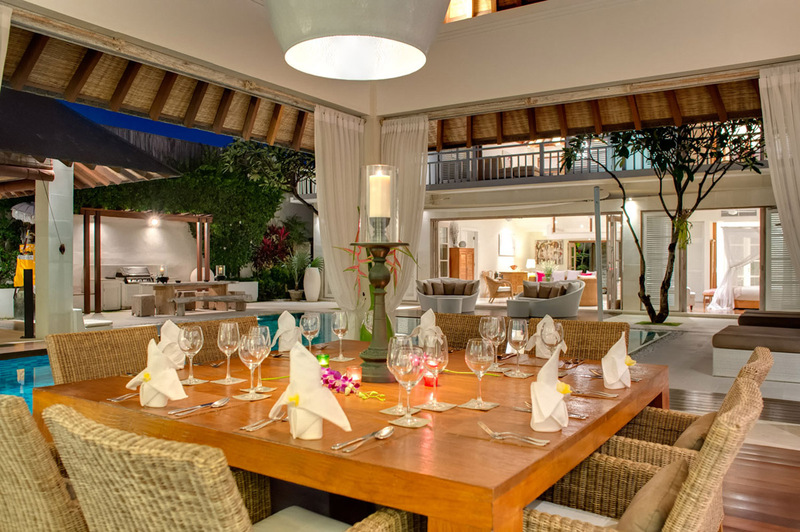 Seminyak Square is nearby with ATM’s, supermarkets, and a whole lot more including an outdoor market where you can buy clothes, souvenirs and handicrafts. Upstairs Man Frydays has authentic fish and chips and just over the road Sisterfields is one of the areas most popular eateries. Jalan Kayu Aya ( Eat Street) with all the shops boutiques, loads of restaurants and cafes is also really close by. 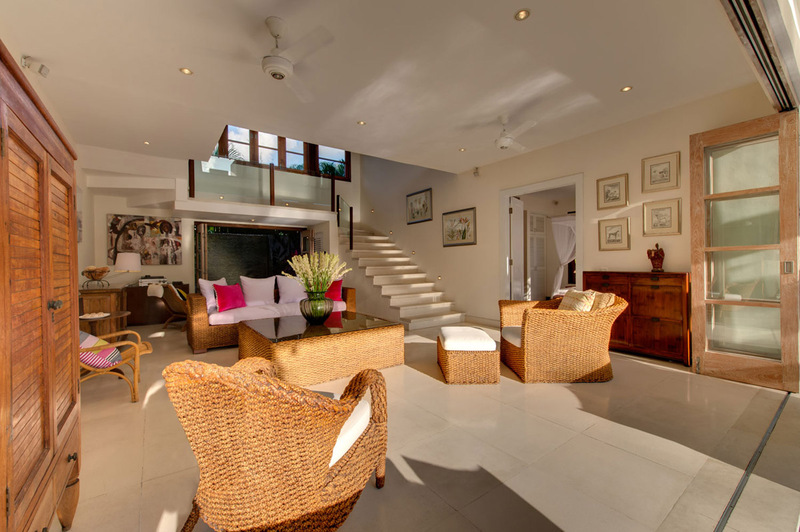 Villa Jajaliluna is in a central location so do not miss your opportunity to stay here on your next holiday to Bali. 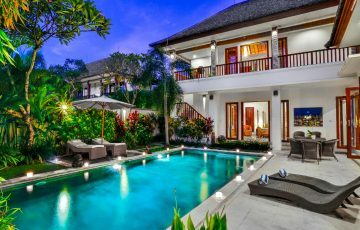 This is a popular Seminyak holiday villa rental so please book Villa Jajaliluna well in advance especially if your planning a trip to Bali during the Australian school or public holidays. 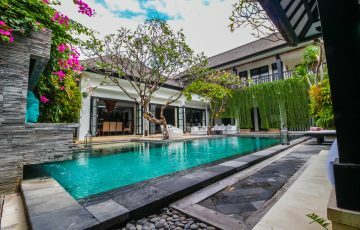 f you want a family villa that has everything you could possible want and more for your holiday accommodation in Bali...then this is the place to go....such a great environment; peaceful, clean with very helpful staff that loved cooking for us anytime of the day. 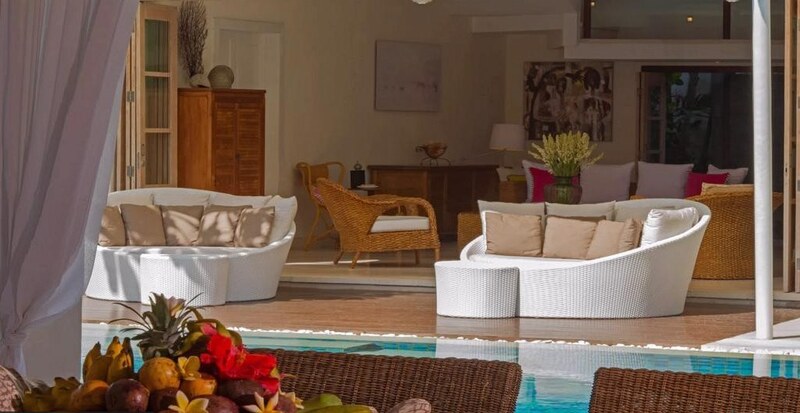 The location was perfect for the family as well, right near all those great restaurants which was so handy for going out at night, The pool and the garden area were spectacular as was the living areas, which was perfect for just lazing around and doing nothing - a great way to relax! 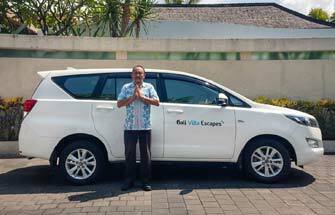 A huge thanks to the team at Bali Villa Escapes for organising this so promptly - easily a 10 out of 10. 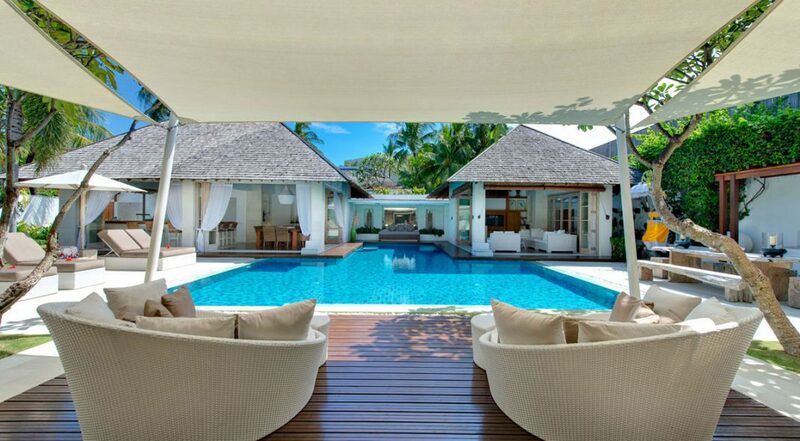 This was one of the most terrific villas we have ever stayed in. 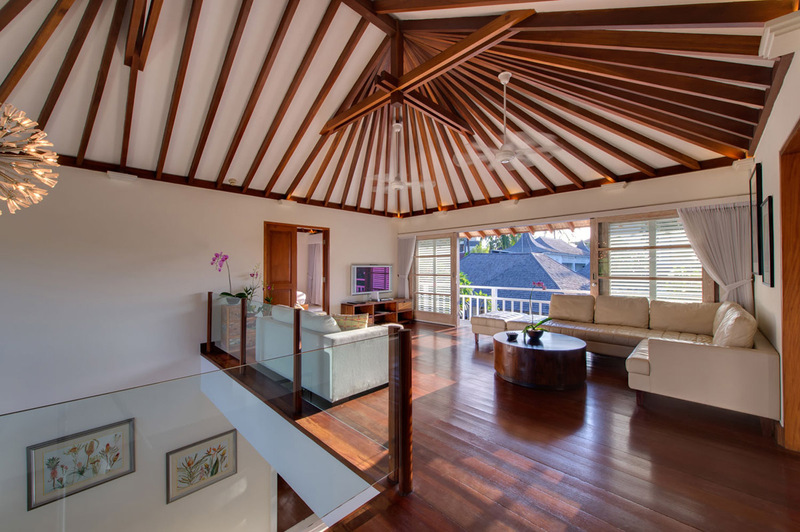 We are frequent visitors to Bali and are always looking or a great villa to stay in when we bring the kids. I think we have found it. 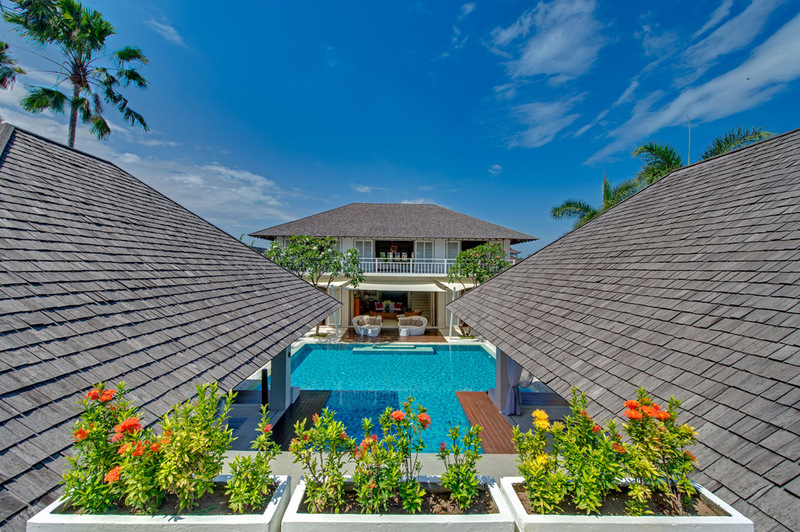 Sensational location, great facilities and 5 star service from the staff. This is without a doubt a real treat! We are coming back for sure. 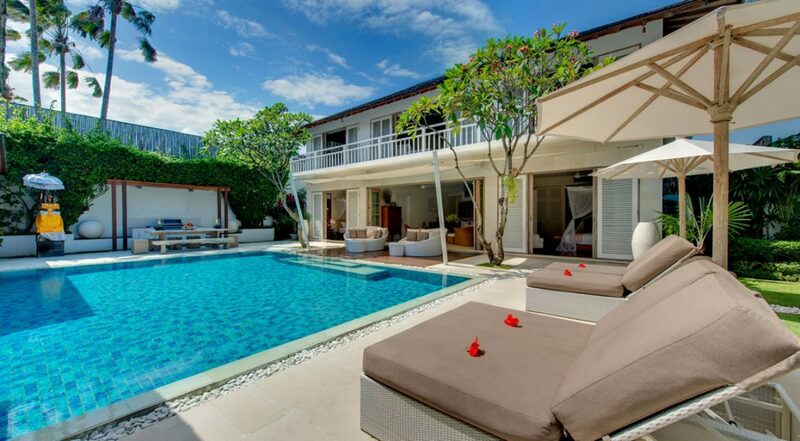 As regulars who come to Bali from Singapore this is our third time staying here at Villa Jajaliluna. The reason for this is simple; we love it here. Amazing location and fabulous facilities. Kids love it as well. We had a fantastic holiday with our three young kids and my parents. 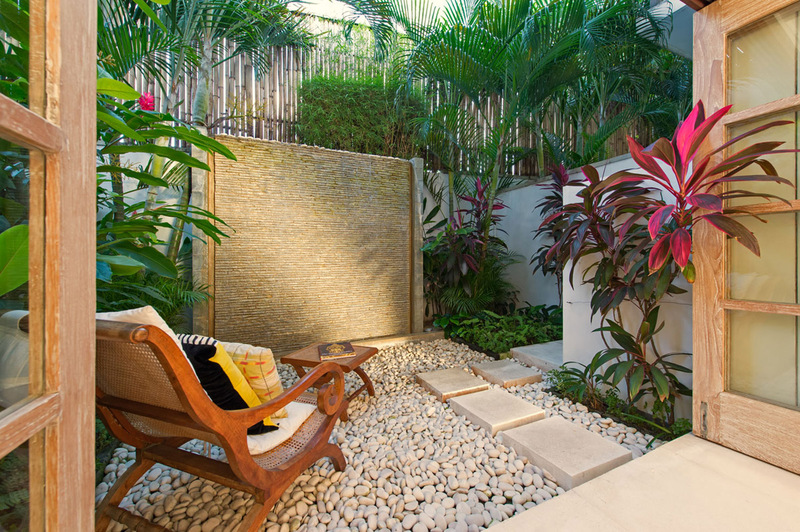 The Seminyak location was so handy and we made the most of it by doing lots of shopping and making sure we were there for a few sunsets. 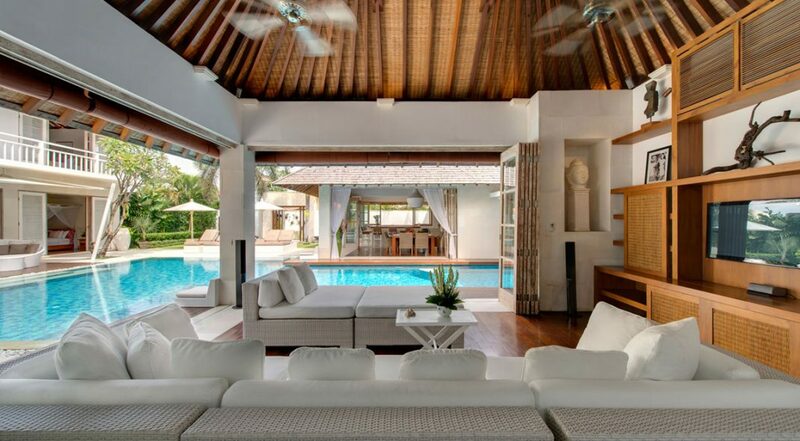 Spacious and extremely luxe villa that we absolutely loved! I know my parents have already recommended it to their friends. Definitely coming back next year & more than happy to recommend.